Sacramento Toyota Repair and Service - TOS Auto Repair Inc. Calling all Toyota owners in and around Sacramento & Citrus Heights! TOS Auto Repair is the auto repair shop for you with only the best ASE-Certified auto mechanics around. We specialize in Toyota service and repair. Our auto mechanics are factory trained and know your Toyota inside and out. 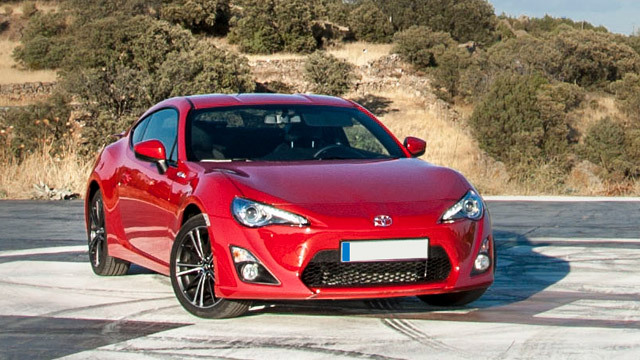 TOS makes it a priority to stay on top of all the latest and greatest things Toyota and that includes factory tooling and equipment. We value investing in these factory tools because we want to stay cutting edge and to be able to provide our Toyota customers with dealership value without the dealership prices. TOS Auto Repair also wants to make certain you feel good about your experience with us. From the moment you step onto our property, you are treated with professionalism and respect. You, your safety, and the life of your Toyota are our top priorities. We didn’t get into this business to make a fast buck. We got into this business as a way to make a difference in our community and to ensure that Toyota owners have a shop where they know they matter. We offer digital inspections, provide a comfortable waiting room and fast reliable service, and we help you get to where you need to go. “Gotta say, Gary brings the best service to the table every time! I constantly leave this place well taken care of! I honestly don’t trust my 1989 Toyota celica with any other shop, could not ask for more! !” -- Austin T.